There are many types of interactive books out there for babies and toddlers: lift-the-flap, touch and feel, pop-up, musical books. A new sort of interactive book has emerged on the market, and surprisingly, it has no flaps, no texture, no smoke or mirrors, no batteries. It is simply ink on flat paper. And all you need to make it interactive? Your hands. Madalena Matoso has created 'Clap, Clap!' published by Flying Eye Books providing all the same fun but without that tricky necessity of grasping the nuances of language! As you open and close the pages the characters come to life. Everything inside makes a movement or a noise as they pages meet and part when you open and close. 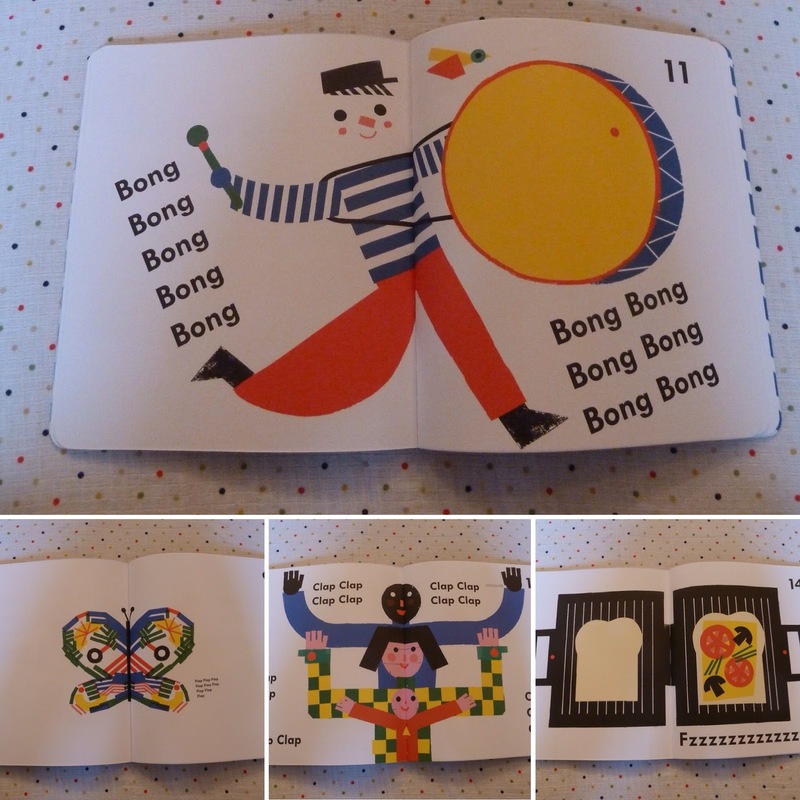 The pages feature: a man knocking on a door; a butterfly flapping it's wings; a man playing the cymbals; a couple sharing a kiss; kids giving each other a high five; a sandwich press toasting a cheese sandwich. Each image is accompanied by onomatopoeic text that further brings to life the actions from "knock knock knock" to "flap flap flap" to "mwah mwah". 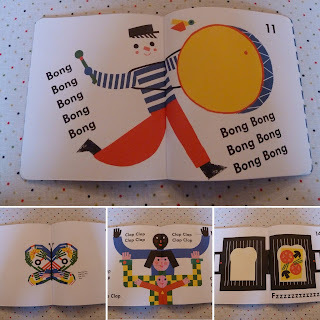 BookBairn giggled with laughter at the man beating the drum with the loud "bong bong bong bong". The illustrations are painted in simple geometric shapes in a bold colour palette primarily of red, blue, yellow, green, pink and black, which will immediately appeal to little ones. Little readers are often targetted with 'black and white for babies' books as their eyesight develops but this book will provide all the contrast they need with much more sophistication! Matoso's background in graphic design has clearly influenced her illustrations and they appeal to the grown-ups in our house as much as BookBairn. My only quibble with this book is that, whilst it has a board cover and back, the inside pages are paper making it more difficult for BookBairn to manipulate. I found when she was reading it by herself she was constantly returning to the endpaper pages due to the weighty board outer pages and struggling to get her wee fingers round the paper pages. Probably a book that's better read together! And that's certainly not a problem! Great fun! Bright illustrations! Mummy having to read silly words! 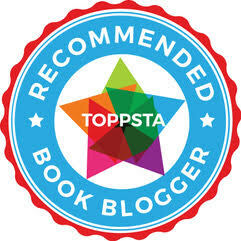 A book worthy of applause! We are linking up with #readwithme on Mama Mummy Mum and #weekendbookclub with Mummy in Training. Bright and bold are perfect description! Looks like a great book. We know BookBairn is good at the Clap Clap Clap bit but this should help with other noises and actions. She does love to clap clap clap doesn't she? !